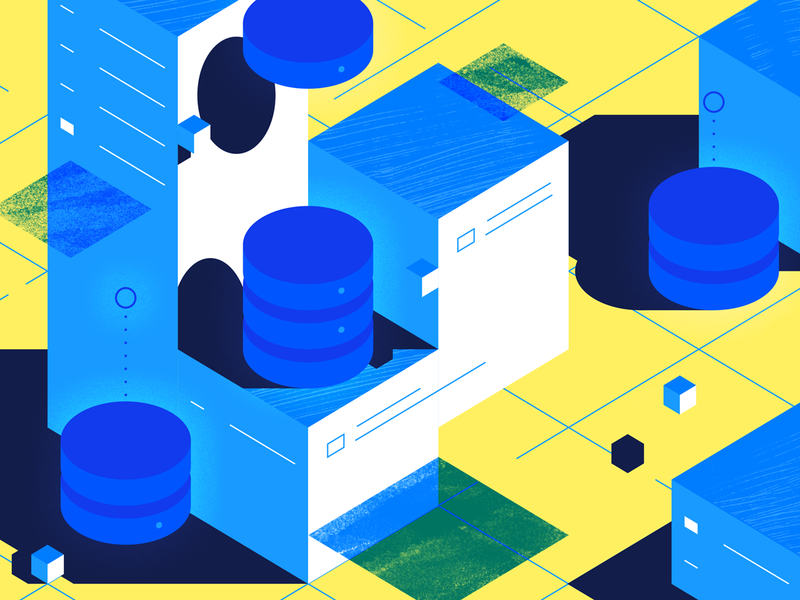 By following this post, you will learn how to connect to a PostgreSQL database in Go using the sqlx and pgx packages, render data dynamically using a template, and serve the resulting page on an HTTP server. Make sure you have Go installed. See this post for instructions. Make sure you know where your GOPATH is. It's usually ~/go unless set differently. In a new empty directory inside your $GOPATH, create a file named main.go. 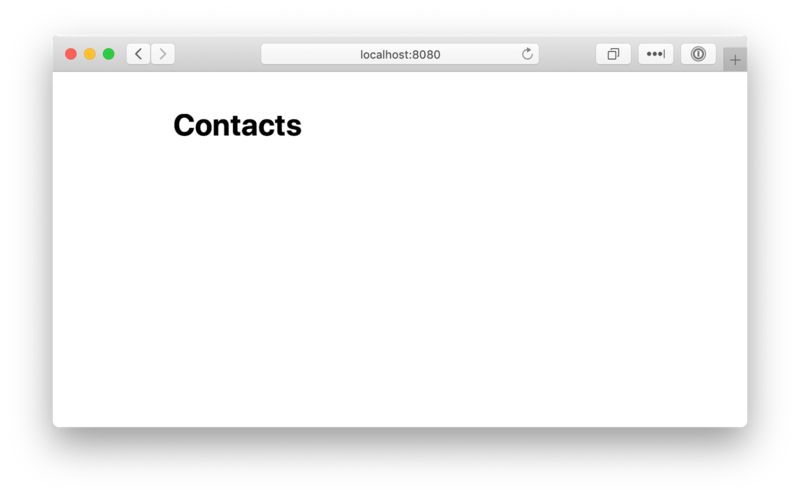 You can name the directory anything you like: I went with go-contacts. We'll start with setting up the HTTP server using Go's built-in net/http package. The server will want a host and a port to listen on, so we ask for that in a CLI flag named addr. We also want to offer the option to pass in the setting in an environment variable, so the default value for the flag will be taken from the LISTENADDR environment variable. This means that if the CLI flag is passed, the value of the environment variable will be used. If neither are set, we'll fall back to :8080. If you save the file and run it now, you should be able to browse to http://localhost:8080.
and see—hold on, is that a "404 page not found" error?! That's fine! It's because we haven't configured any routes or pages yet, so the server doesn't know how to respond to the request. Why don't we go ahead and do that now. Let's create the contacts list page and serve it on the root path, /. We'll use the template/html package so that we can easily pass in dynamic data (the contacts) to be rendered in the page later. 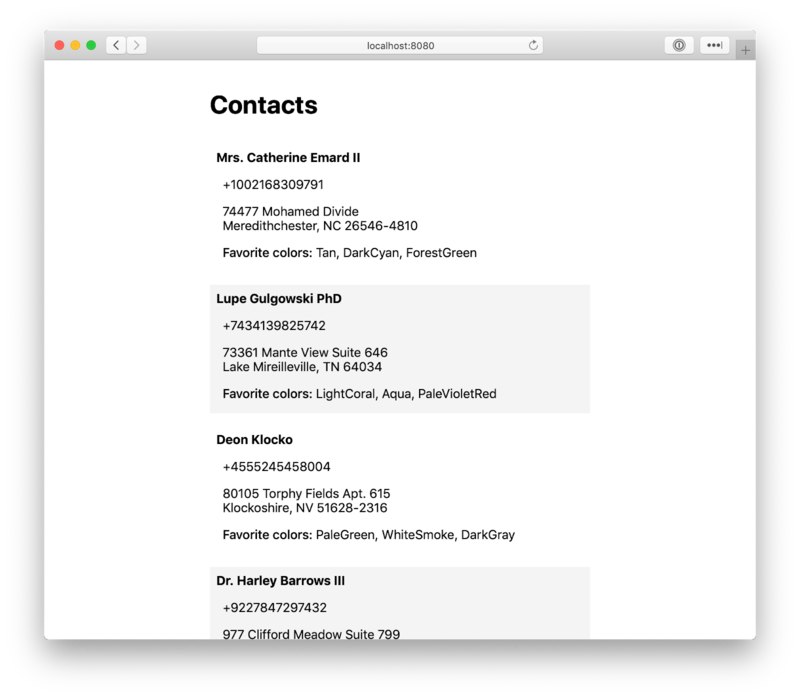 This is a page with basic styling that will serve as the base for our contacts list. Inside main() , after the flag.Parse() line, add the following. For compatibility with all operating systems, import the path/filepath package as we will use to construct the path to the template files. Run go run main.go again and you should see the template we've configured. Something is missing in the page—the actual contacts! Let's add them in. We will use DigitalOcean Databases to quickly get a PostgreSQL cluster up. If you haven’t yet, create a new one—it only takes a few minutes: if you prefer a text post, see the product documentation for Databases. If you prefer a video, click here. The connection string contains all the details necessary to connect to your database (including your password) so be sure to keep it safe. 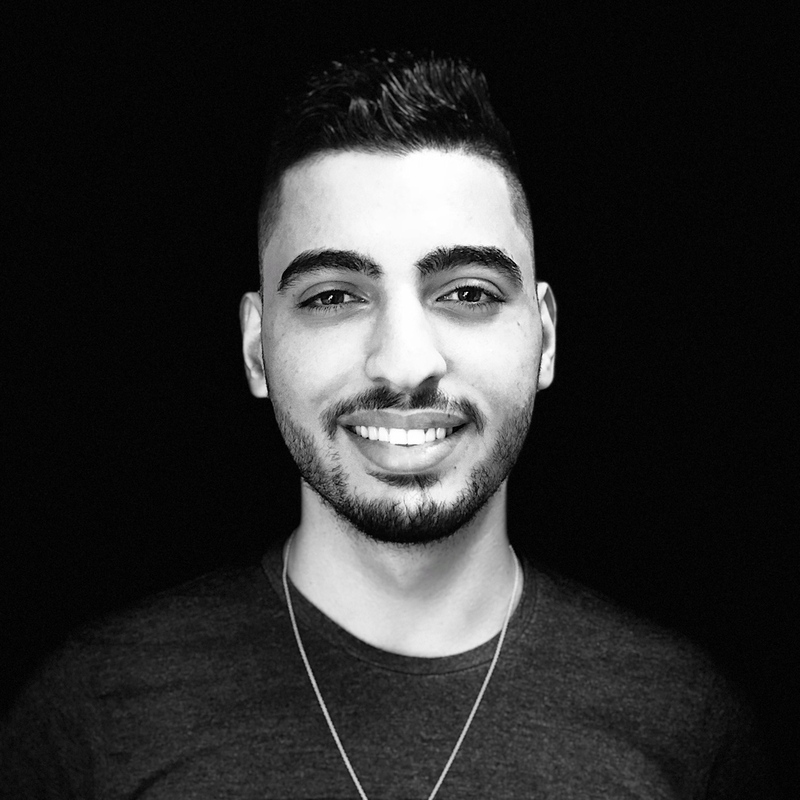 Our Go app will only handle displaying the contacts, so I have prepared an SQL export containing 10 randomly generated contacts that you can import into your database. You can find it here. Ok, so now we have a database with some contacts in it 🎉 Let's have our program connect to it and fetch the contacts. We'll build this functionality step by step. There are many ways to connect to a PostgreSQL database in Go. In this case, we also need a convenient way to access JSONB fields since our contacts database uses them. I personally found the combination of github.com/jmoiron/sqlx and github.com/jackc/pgx to work best. Now, there are a few things that we need to do. We need to define the Contact type based on the database's table structure and connect to our PostgreSQL database. When serving the contacts page, we will query the database for the contacts and pass them to the template for rendering. Note that we use the function getenvWithDefault like with the listen address to allow the connection string to be passed using an environment variable (DATABASE_URL) in addition to the CLI flag (-conn). We're now connected to our PostgreSQL database! Add a new function to the bottom of the file to fetch all contacts from the database. For clearer errors, we'll make use of another package: github.com/pkg/errors. Download it and import it at the top of main.go as usual. One thing that's missing right now is the favorites column. If you look at the Contact type, we've defined this field: FavoritesJSON types.JSONText `db:"favorites"`. This maps the favorites column in the database to the FavoritesJSON field in the Contact struct, making it available as a JSON object serialized as text. The resulting structs will be stored in the Favorites field in the Contact struct. This will attempt to fetch the contacts, display an error on failure, and pass them to the template. Note that if an error occurs, the full error will be sent as the response. In a production environment you will want to log the error and send a generic error message instead. go run main.go -conn "connection string here"
After following this post, you will have learned how to build a simple contacts list step-by-step, starting with an empty page served by an HTTP web-server and ending with one that renders a list of contacts fetched from a PostgreSQL database. Along the way, you will have become familiar with using html/template to render a web page with dynamic data, connecting to a PostgreSQL database, and interacting with JSONB objects stored in the database. Print favorite colors as a bullet point list with each color being a separate item. Use html/template's built-in range function to loop over the favorite colors slice. Add a favorite shape (square, circle, etc.) to one or more contacts and edit the template to display it. The Contact struct should stay unmodified. List the contacts in the order that they were last updated, most recent first.